Released today on Dayton’s Gas Daddy Go! 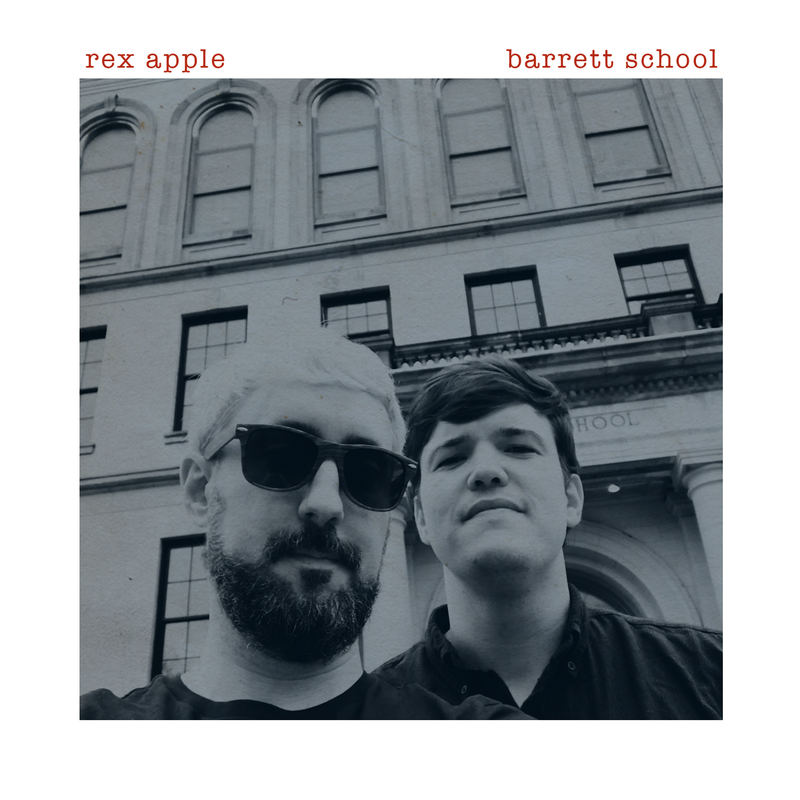 Records is Barrett School, the debut album from Rex Apple, a new folk-pop duo consisting of Jesse Remnant of Human Cannonball and Kyle Melton of Smug Brothers. The 8-song album – a concept album involving a prep-school - is available as a pay-what-you-want download and as a very limited edition CD. With a base of strummy acoustic guitars and layers of vocal harmonies, the duo creates a subtle yet sparkling sound that focuses on 60’s folk and pop with the inclusion of psychedelic elements like on the starry-eyed standout, “Keep Your Head Straight”. Other standouts include the British Invasion-inspired melodies of “Glass Slippers” and the piano-led Beatles-esque “Gimme That Feeling”.